One of the greatest aspects of living in the Inner West is being amongst people with niche and special interests. For the sub-section of the community interested in beekeeping and protection of local bees, Urban Beekeepers of the Inner West is the perfect local group. Focused on raising awareness about responsible urban beekeeping and how to protect a healthy local bee population, the club provides meetups for all things bee related. From talks on biosecurity to workshops on how to make a bee-friendly garden and information sessions for new beekeepers, these bee enthusiasts are keen to engage with the general public and local beekeepers. Urban Beekeepers of the Inner West also provides a free bee removal service. These passionate individuals are keen to spread their enthusiasm amongst the local community. “We are here to share our skills, expertise and knowledge about native and European bees and be a part of the effort that enables beekeepers to maintain healthy bees,” says Bryn Hutchinson, President of the club. The enthusiasts are also concerned about Australia’s recent changes to biosecurity legislation, which they say will affect the local bee population with its potential for harmful pest intrusion. 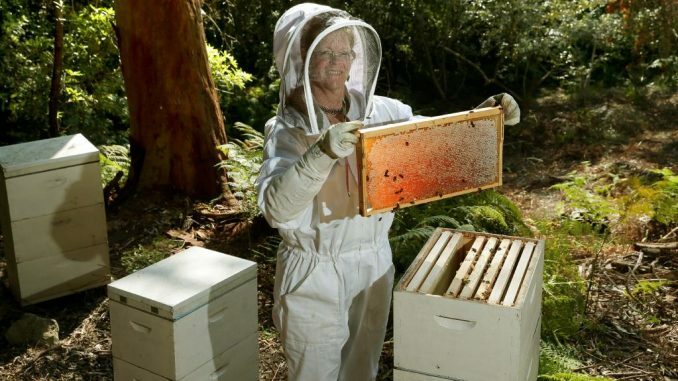 By coming together to protect bees from these threats and learning more from each other about local beekeeping, the innovative club is another worthwhile initiative contributing to Australia’s growing sustainability movement and ecological protection.